Diving Cape Cod and in New England is exciting and diverse. It can also be pretty darn cold in the winter and spring! 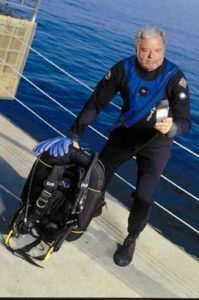 If you’re the type of diver who wants (or needs) to be able to dive year round or if your diving requires extended bottom time, then learning to use a dry suit is a necessity. 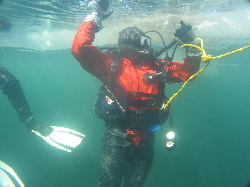 This course is divided between one 3-hour academic session, and three outdoor training dives. The total time of the course is 8 hours. This class is no pushover. You’ll truly earn your certification and feel darn proud doing it! By the time you’re through with your training you’ll be comfortable, competent, and safe in a Dry Suit of your choice. Specialized Equipment: Ankle Weights, zipper wax, fins large enough for the drysuit.